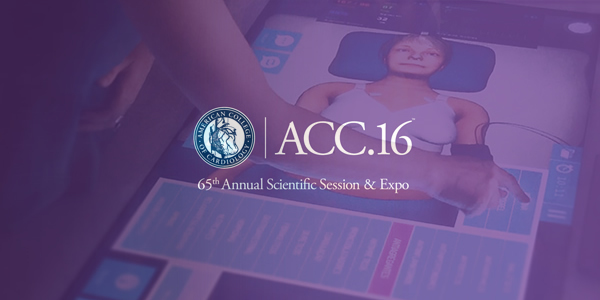 The ACC (American College of Cardiology) is once again partnering with Body Interact to provide attendees with a unique, highly interactive, virtual training experience in cardiology clinical cases. Come and visit us at the 65th Annual Scientific Session & Expo, that is taking place in Chicago between April 2nd and 4th. You can find us on Specific Theme Sessions in the Engaging Theater (Coronary Artery Disease, Atrial Fibrillation and Valvular Heart Disease) and also in the Sim Center zone.